Michael Nygard strives to raise the bar and ease the pain for developers around the world. He shares his passion and energy for improvement with everyone he meets, sometimes even with their permission. Living with systems in production taught Michael about the importance of operations and writing production-ready software. Highly-available, highly-scalable commerce systems are his forte. Michael has written and co-authored several books, including "97 Things Every Software Architect Should Know" and the best seller "Release It! ", a book about building software that survives the real world. 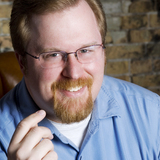 He is a highly sought speaker who addresses developers, architects, and technology leaders around the world. Michael is currently Vice President, Customer Solutions, for Cognitect Inc., the company behind Clojure, ClojureScript, Pedestal, and Datomic.